You know solicitors and barristers are both lawyers, but what's the difference? If you have the idea that solicitors handle the paperwork—wills, contracts, and the like—and barristers do the courtroom work, you're partially right. By far the majority of lawyers are solicitors and, yes, the paperwork bit is correct. They may advocate for clients in the lower courts, and in some instances in higher courts. Nonetheless, in most court cases a client retains a solicitor, who in turn retains a barrister to present the case in court. All prospective lawyers start on the same educational path: First, a bachelor's degree in law (LL.B.) or, if they read (majored in) another subject at university, a year or two of postgraduate education in law. After that, the paths diverge. Prospective solicitors must take a one-year Legal Practice Course, usually followed by two years' apprenticeship. Following graduation, prospective barristers must first apply to join one of the four Inns of Court and then complete the one-year Bar Professional Training Course followed by a year's training in a set of barristers' chambers, known as "pupillage." The primary function of barristers is to act as advocates, and they may do so in all courts. That said, usually a barrister may only act upon the instructions of a solicitor. Barristers are either Queen's Counsel (also called leaders or leading counsel) or junior barristers. The term “Inns of Court” refers both a set of buildings in central London and to the ancient legal societies based in them. Their origin is cloaked in mystery, but the Inns probably began as hostels for lawyers in the 14th century. Now, every barrister must join one of the four surviving Inns: Gray's Inn, Inner Temple, Lincoln's Inn, and Middle Temple. According to the Oxford Dictionary of British History, the Temple was the London residence of the Knights Templar until their dissolution and was left to lawyers in the mid-14th century. From an early date, the Inns played an important role in legal education. Although barristers no longer reside at the Inns, their attendance at a number of dinners given by their Inns are a social requirement and guest speakers at the dinners offer a form of continuing education. When new members are considered for a pupillage or an invitation into chambers, the dinners provide an opportunity to assess their compatibility. Chambers, in addition to referring to the private office of a judge, can also mean the offices occupied by a barrister or group of barristers. The term is also used for the group of barristers practicing from a set of chambers. According to a former solicitor, “QCs are sort of higher paid consultants brought in by a junior barrister.” In court, they sit within the bar and wear silk gowns. Thus they are said to “take silk” and are familiarly referred to as “silks.” Junior barristers traditionally wear “stuff” (worsted wool) gowns. If the monarch is a king, silks are known as King's Counsel (KC). The CPS, which is organized on a regional basis, conducts most criminal prosecutions. The Chief Crown Prosecutor of a region is roughly equivalent to a district attorney in the U.S. The Crown Court has jurisdiction over all criminal cases tried on indictment. It also hears appeals from magistrates' courts. A Crown prosecutor is a barrister or solicitor employed by the Crown Prosecution Service. A magistrate is an unpaid volunteer without formal legal qualifications who serves in a magistrates' court. There are also, however, district judges (formerly called "stipendiary magistrates" and known in slang as “stipes”) in London and other major cities. A magistrates’ court consists of between two and seven magistrates or a single district judge. The magistrates' courts initiate all criminal prosecutions by considering whether there is sufficient evidence to justify committing the defendant to the Crown Court. Another function of the court is as a court of summary jurisdiction: a criminal court of trial without a jury. Magistrates' courts also have a limited jurisdiction in civil matters relating to debt and matrimonial proceedings. All police officers hold the office of constable. The Old Bailey is London's principal criminal court. The courthouse was first built in 1539, just outside the western wall of the city, next to Newgate Prison. The name comes from “bailey,” the external wall enclosing the outer court of a feudal castle. Reconstructed several times, the building now extends to cover the former site of the prison. 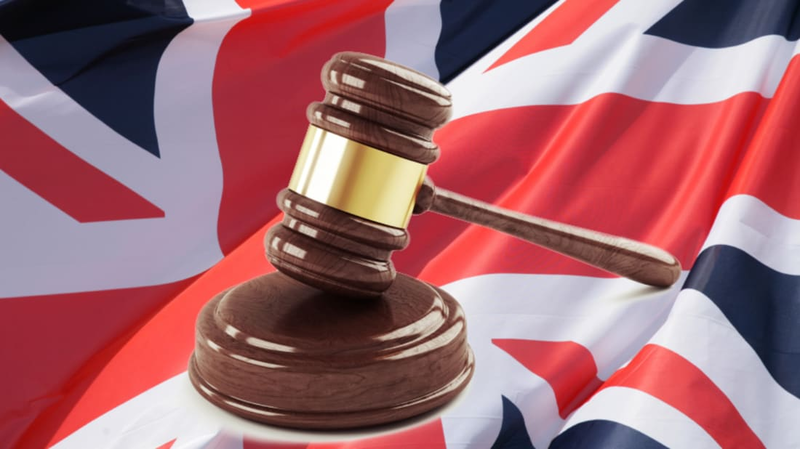 Although the court's original jurisdiction included only serious crimes committed in the City of London and Middlesex, in 1972 it became part of the Crown Court with its jurisdiction no longer geographically constricted. Since 1981 it has been part of the Supreme Court. Famous trials conducted at the Old Bailey include those of William Penn (1670), Oscar Wilde (1895), and Peter Sutcliffe, the "Yorkshire Ripper" (1981).